This is a great run to do if in the area. My Brother and I have run this Creek multiple times before an afternoon guiding trip on the Trinity as well as after work, putting on as it was getting dark. So in short, this run only takes an hour and half at most, but is well worth the time. 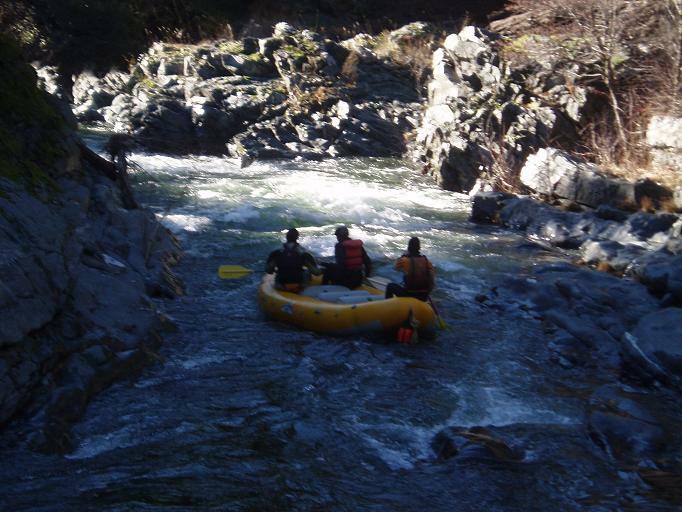 It is a great Class IV introduction to creeking for those looking to further their skills. The road parallels the river in its entirety and therefore lets you decide whether or not you are up to it…before you are in it. 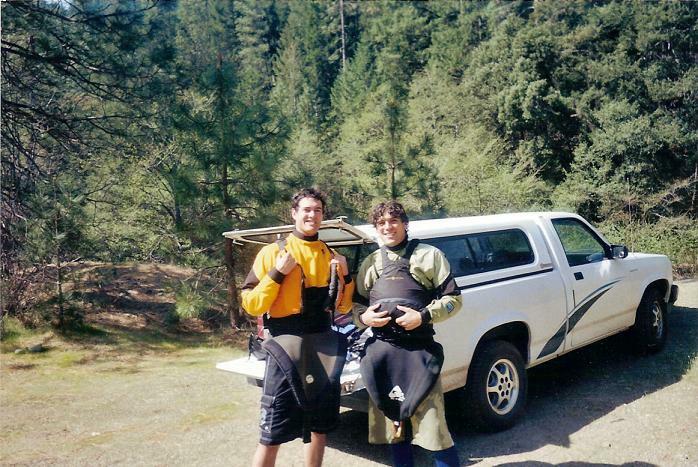 In addition, in combination with the Pigeon Point run on the Trinity River, a fun filled intermediate day can be had. 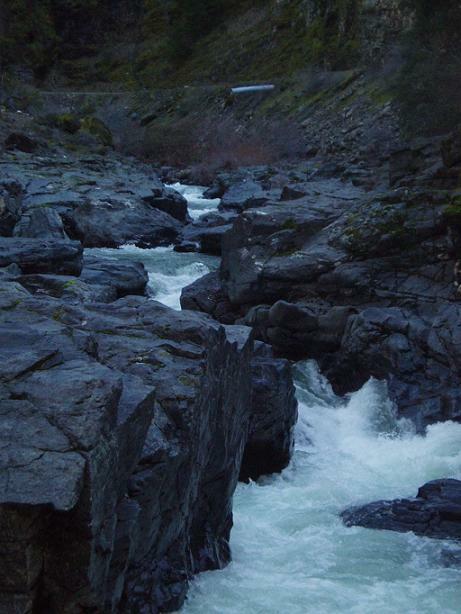 At very high water “The Gorge” becomes class V, so time your run in accordance with you experience level. 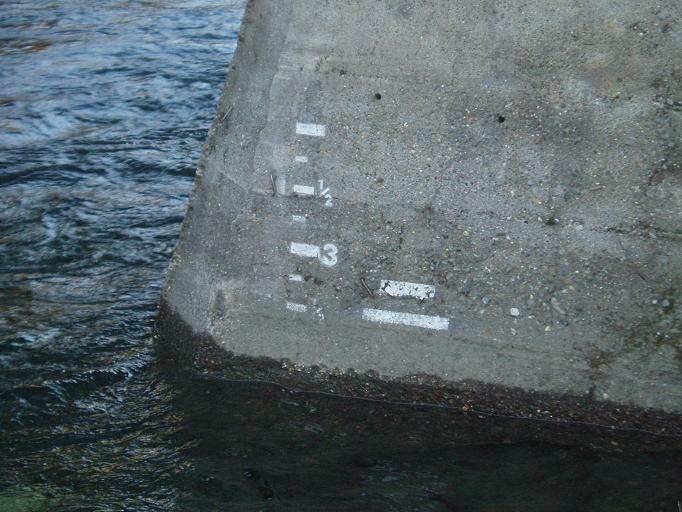 There is no gauge to check flows on before you are actually at the river. But once there You need at least 1 foot to make it at all enjoyable. 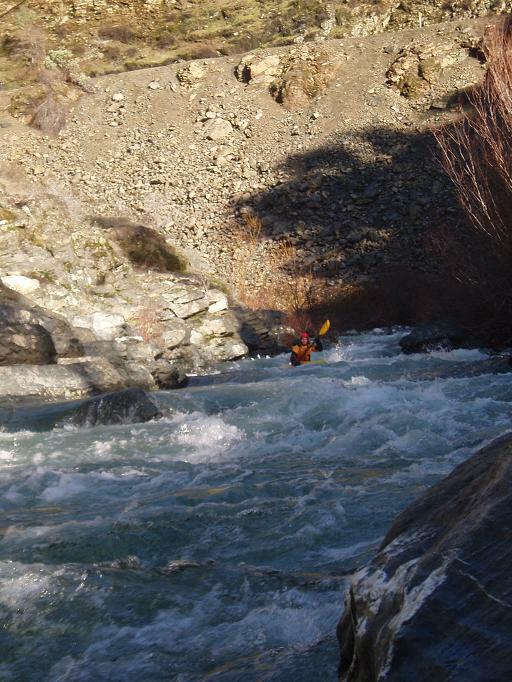 2 feet is a enjoyable medium flow, 4 feet is a high flow. After a rain or during spring when Coffee Creek is over 500 cfs this creek should go. See the Take-Out section for Gauge location. The First (III-). This can be rocky but is straight forward enough. 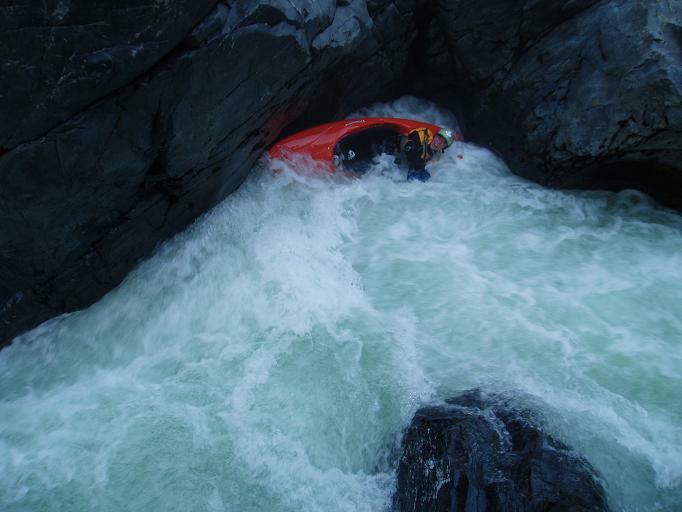 Just run down the center and boof at low flows, or shoot the medium sized hole at higher flows. The Second (III+). 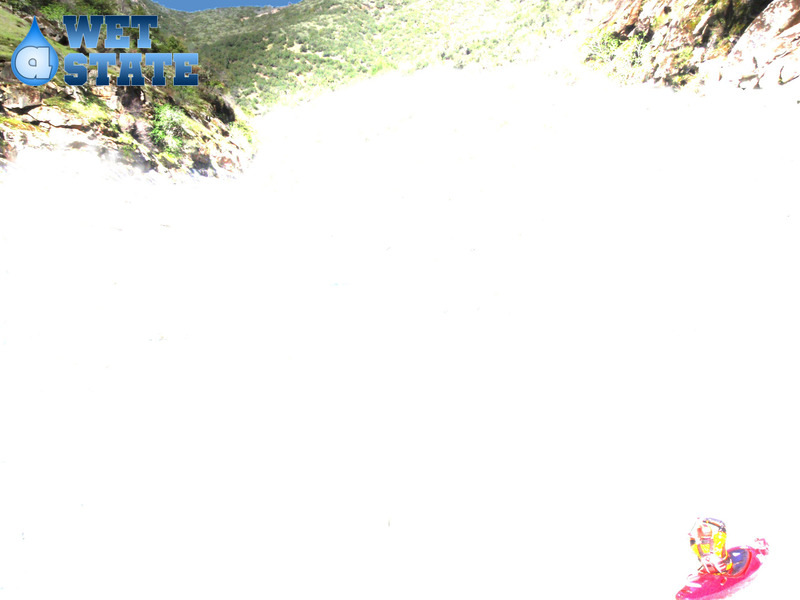 Just around the corner from the first rapid, this drop has a simple lead in and then drops into a hole which is backed up by a large and pocket eddy to the left. It isnt hard to work right and avoid this rock and eddy. The Third (III-). Is easy enough to pick a route down. This ends the first gorged sections which is perhaps the most beautiful part of the run. Mini Gorge (IV). 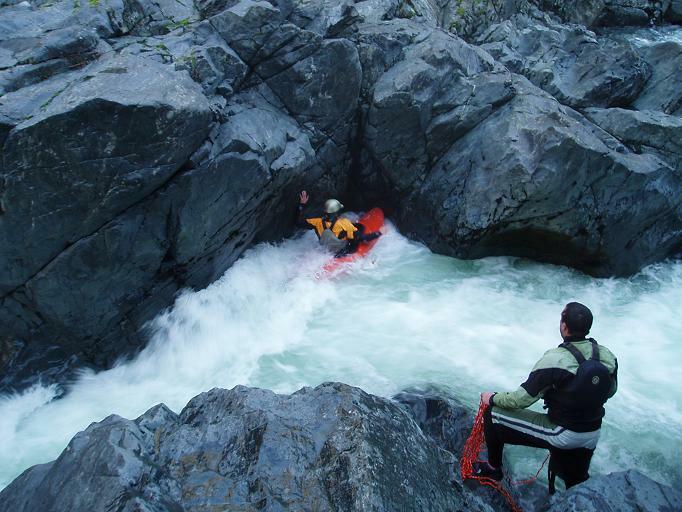 This is the first solid class IV rapid on the run. It is a half-mile long bolder slalom that is runnable on the right. 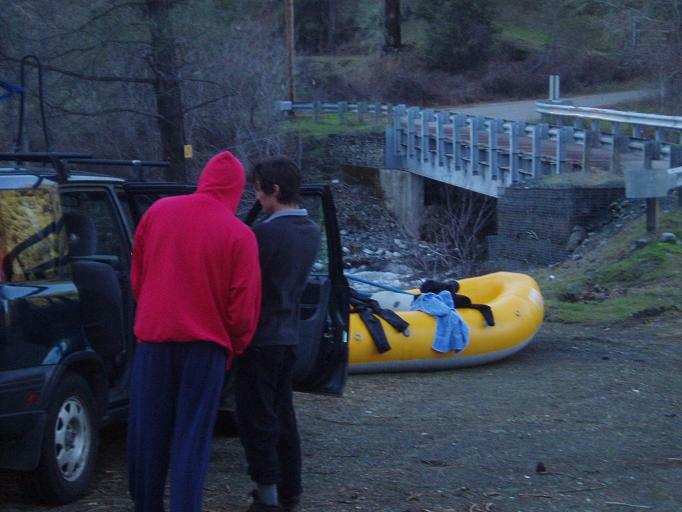 As with all the rapids it is an easy scout from the road. The Gorge (IV+). 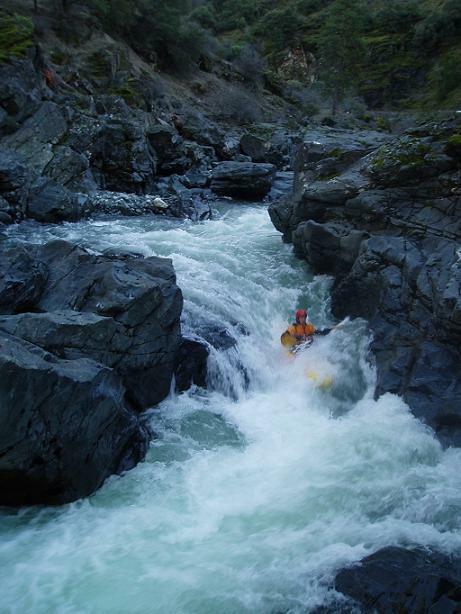 This rapid is hard to scout in its entirety from the road so before the river makes the sharp right turn, eddy out, and follow the trail along the river to scout. Make sure to scout the entire rapid. The most difficult section is the last drop. The key is to boof onto the pillow forming off the left wall, this allows you to avoid running into the wall later on the right. The wall on the right is undercut, but I have witnessed swimmers and or kayaks going through it with only minimal hardships. Above this section there are three or four drops/maneuvers with eddies or short pools between them. 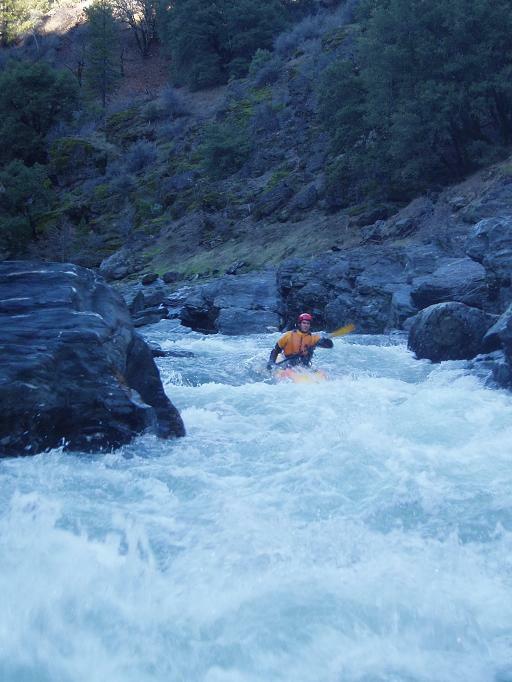 This run can be extended up stream or downstream to add class II stretches. Rumor is however, that up river of the bridge is a class V section, so be sure to not put in further up than the bridge. Downriver the creek can be run all the way to its confluence with the Trinity. Take out: From highway 299 go roughly 15 miles past Weaverville and turn right on Canyon Creek Road. Follow this road for a few miles, turn left on Powerhouse Road, drive about 100 ft and park before the bridge. This take out avoids doing the class II downriver section, other take-outs are possible between here and the confluence if you look for them. 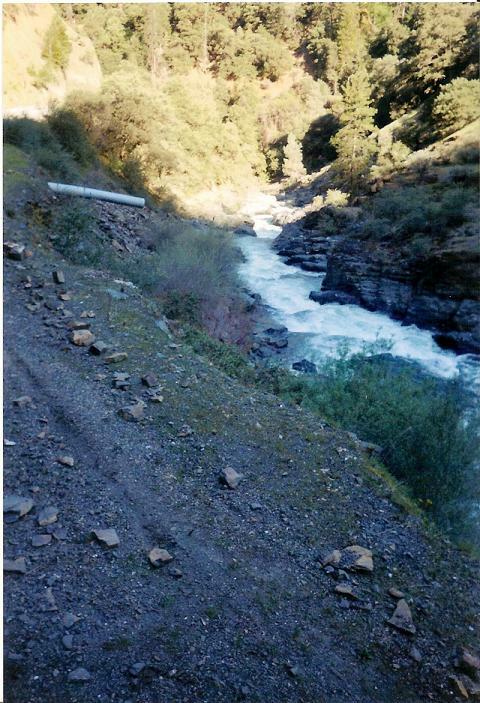 Put in: Drive about 8 miles further on Canyon Creek Road, the road goes over a rise, at the bottom of the hill there is a dirt road on the left, when the dirt road forks follow it to the right, park along the river.